The other analogy I like to use is to that of a marathon. I myself am not a runner not do I play one on TV. However, I do have friends who are runners. With SEO just like running a marathon, you have to pace yourself. Sometimes the search engines will respond quickly to the changes made. Other times it may take several months. We tell clients it will take six months to see how things level out and give a true analysis of the changes. Another frequent question: “How do I know it will work?” The short answer is that you don’t. Yet, the same thing can be said about more traditional marketing outlets, such as newspaper, radio and television advertising. Even online outlets such as Facebook Boosted Post or Google Adwords can be a total waste of time, energy and money. It all depends on your target business, target market and what competition exists in your chosen marketing space. The beauty of SEO versus other traditional marketing methods is that it can have lasting long-term effects. With other marketing methods, you have one rollout, of which the effectiveness may last a few days to a month, depending on the shelf life of the media. Another advantage of SEO, if done correctly, is that it spotlights your product or service to a potential customer when the customer expresses a need for it through an online search. 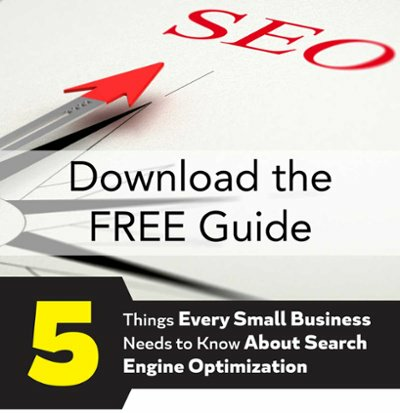 SEO This is drastically different than the traditional marketing methods, which can seem persistent and constantly in a potential customer's face in hopes that they remember your product when they actually need it.